With all the reports of vulnerabilities of various browser plugins, e.g. 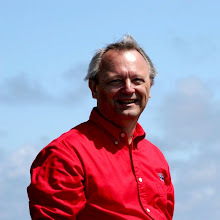 Java and Flash, my interest was piqued when I read Brian Krebs post on "Click to Play." To turn it on in Chrome, go to Settings and click on "Show advanced settings..." at the bottom of the page. Scroll down to "Privacy" and click on the "Content settings..." In the pop-up window scroll down to "Plug-ins" and check "Click to play." Don't forget to click the "Done" at the bottom. Seems like they could have made this easier. 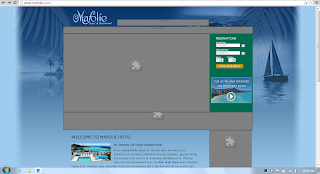 When you browse to a site that has content blocked by "Click to Play," an icon will appear on the far right side of the address bar that allows you to add an exception for the current site. 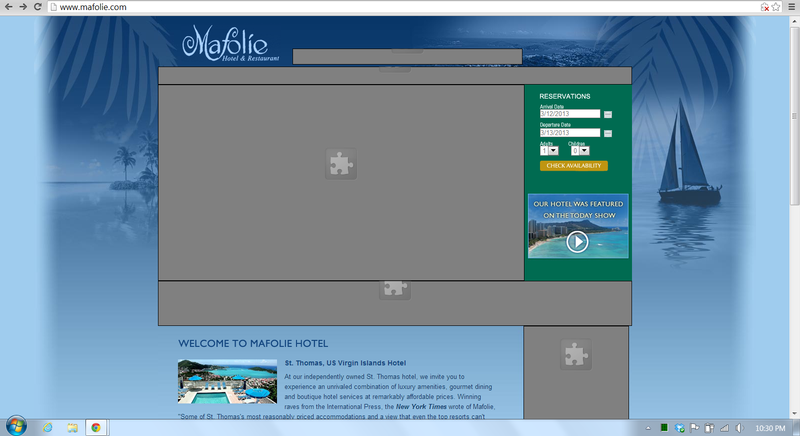 Lots of web sites use Flash where you don't even know it. Let's just say that's not "spouse friendly." I can put up with that but I don't think I'm going to roll it out to the rest of the house. Just as an FYI ... you can use Office Web Apps within the browser when logged in using your Microsoft ID. 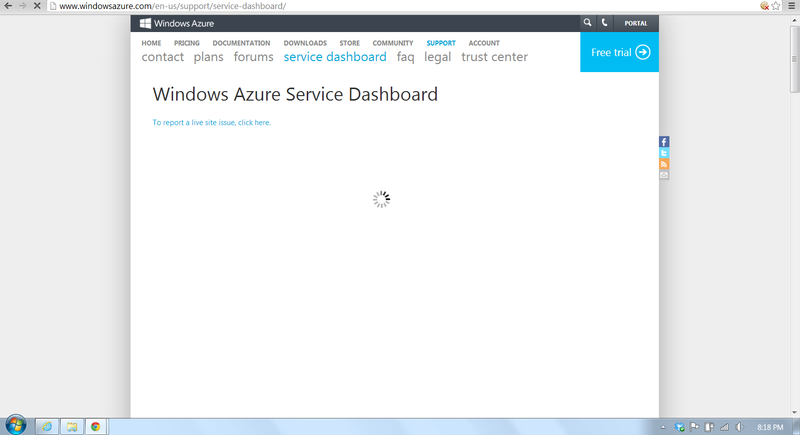 I use it to collaborate on true Office documents all the time - even machines that don't have Office installed. It's everywhere I might need it. We have an ongoing discussion in our work group over whether to use Microsoft Office documents or Google Docs. Maybe this was a godsend. 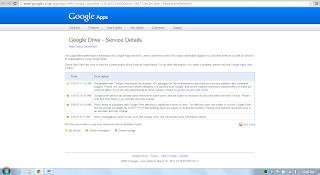 To test this I uploaded a .docx file to my Skydrive and edited it with Word Web App. I shared it with a co-worker. We were both able to get into edit mode on this document and the Word Web App told us that there were 2 concurrent editors. But my co-worker couldn't see my changes until I saved it. Then since he had changed the same paragraph when he attempted to save it the save failed. Here's the answer in an article from CBS News. Co-authoring in Word is more or less the same as editing in Google Docs, but there are some key distinctions. Getting started is just as simple: Open the doc and start working. Word keeps you informed about who is also working on the document, and you can also check the Other Authors button in the ribbon's View tab to see who else is in the metaphorical editing room with you. Whatever paragraph you're actively working in is locked, so others can't accidentally create conflicts with what you're doing. One way that Word is different than Google Docs is seeing your co-author's edits. Rather than having their changes appear instantly (which I do find a bit disorienting), our co-author's changes are only incorporated into your document when he saves his work and then you save yours. When your co-author saves, you get a message telling you that you can save to see the latest updates, so you're never left wondering if there are new updates available. Here's an article from Redmondmag with the same explanation. I just look for things to play with. 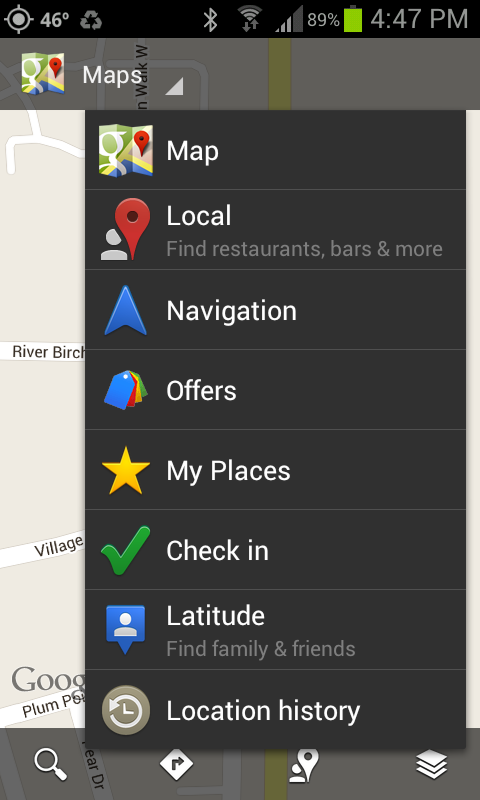 The Google Maps Android application has Google Latitude integrated in it. On the iPhone there's a separate Latitude app. Latitude is a lot like Find My iPhone but Latitude can keep location history. 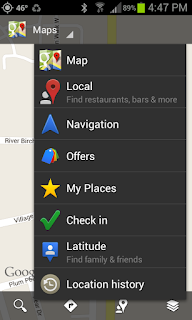 On Android you control Latitude from Google Maps. This takes you to the Latitude screen. 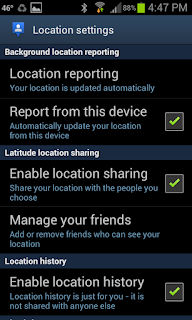 Chose "Location settings" to set it up. Enable "Report from this device." 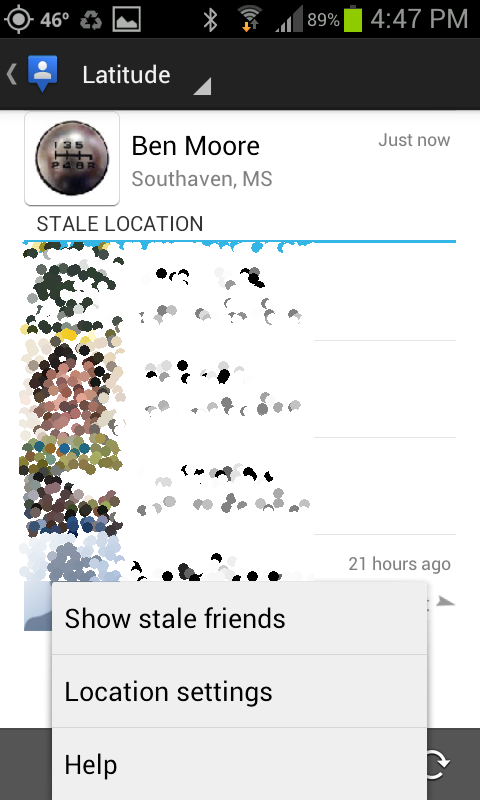 If you enable "Enable location sharing" you can "Manage your friends" just below. 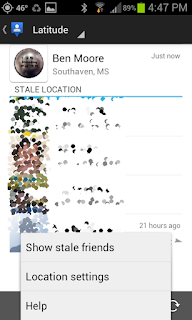 Here you can specify who can see your current location. Your friends can not see your history. You'll have to keep an eye on this screen. I've noticed that some times an upgrade of the Google Maps application will reset these options. What do you get for this? 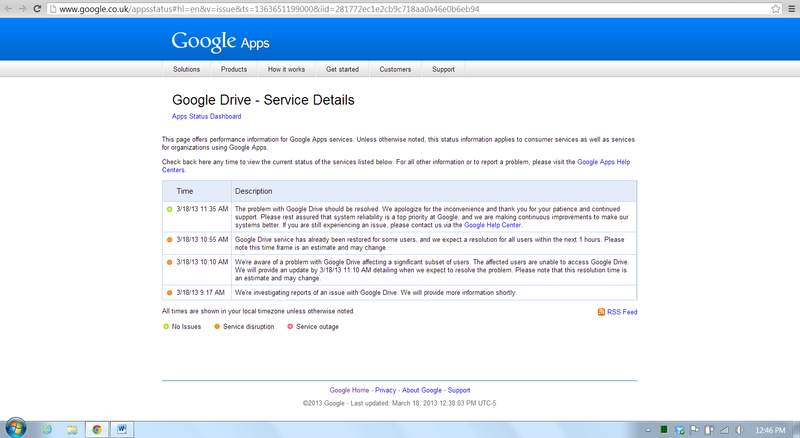 Go to http://google.com/latitude to see. This is 30 days of history. You can click through the timeline and see place by place. Latitude is fun to play with but you need to carefully consider how much information you want to retain and share. 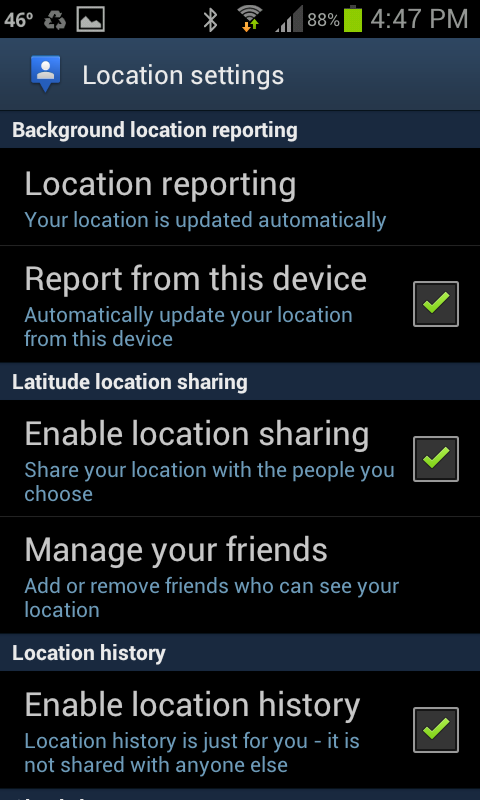 By default Google will notify you of your Latitude settings once a month. 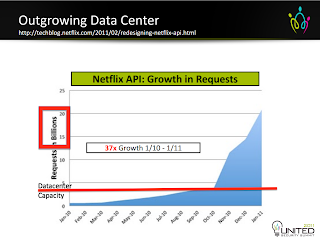 While researching the recent Microsoft Azure Storage outage I came across a presentation by Jason Chan of Netflix. 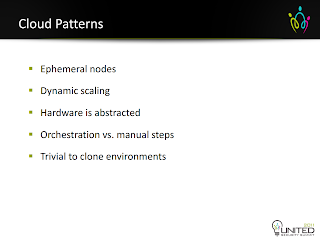 While the topic was "Practical Cloud Security" there were a couple of slides that I thought applied to many organizations' situation. We all remember how Netflix changed their business model several years ago going from mailing DVDs to streaming video online. This resulted in a 37 fold increase in API requests in one year. Realistically most organizations don't experience that kind of growth but any organization that plans to grow should look for lessons learned. 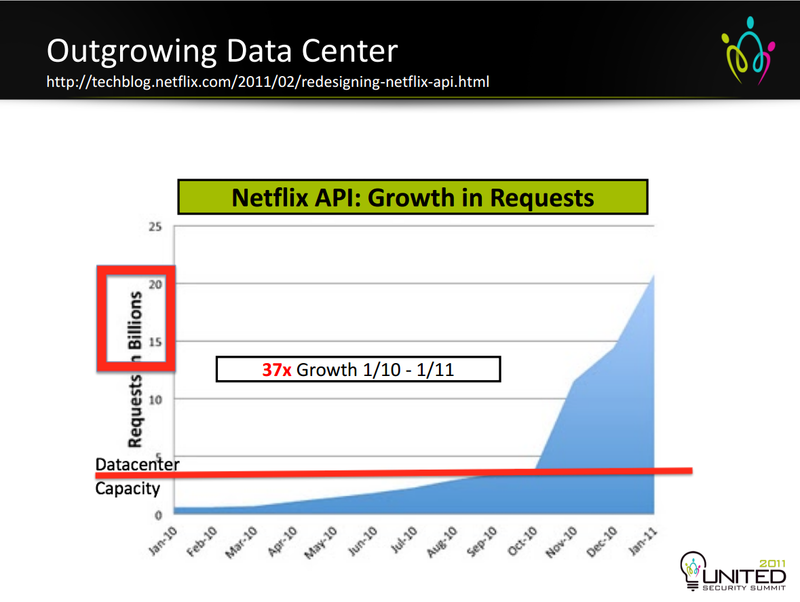 Prior to the cloud migration Netflix was running their own data centers. Here's what they were doing in their data centers. I especially like the "snowflake phenomenon" metaphor. That means that everything is a one-off. Nothing is reused. 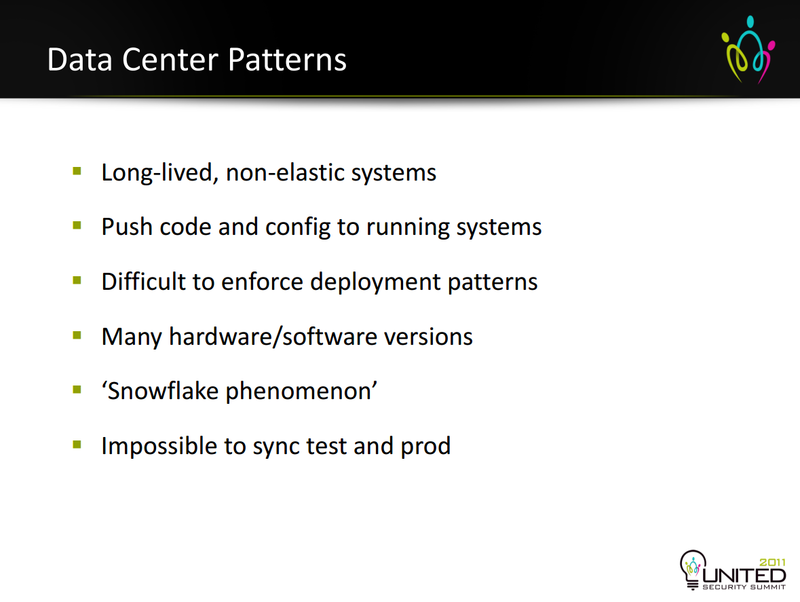 Netflix's vision was to get out of the data center business and into the cloud. 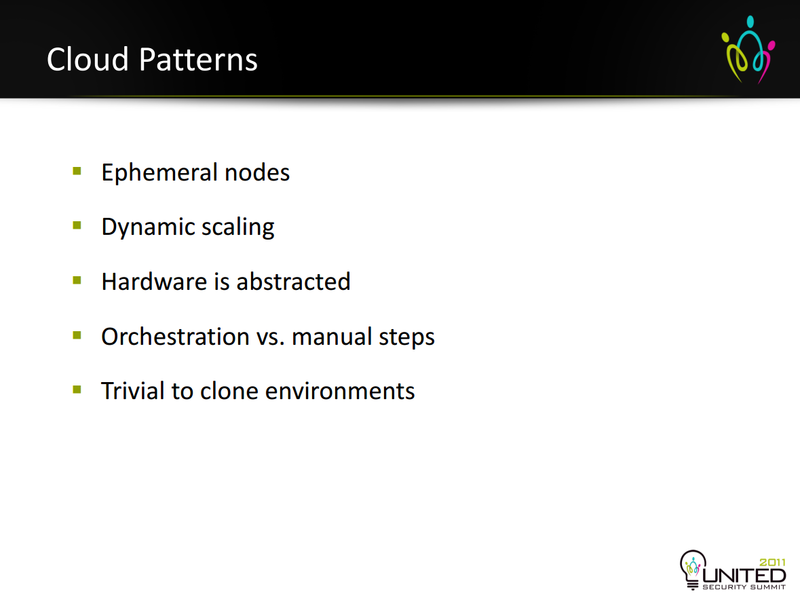 We want to use clouds, not build them. Their target patterns were much different. Think about how this transition will reduce your costs and improve your delivery speed. Maybe you can stream a movie in your spare time.